Ron and Maggie Tear Photography: Dwarf Mongoose. 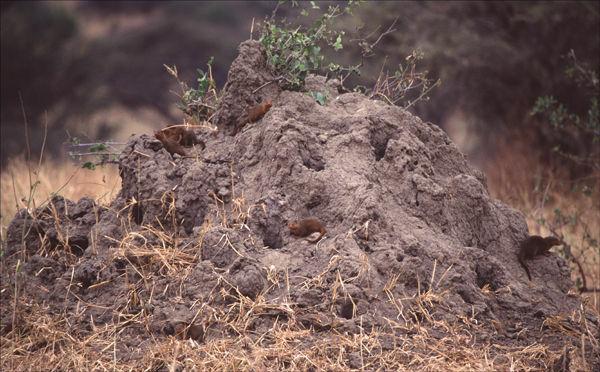 This termite mound was now the home to at least 6 if not more Dwarf Mongoose. Several can be seen around this mound.